The house mouse is a prolific breeder! Mice have keen senses except for sight because they cannot see clearly beyond 6 inches and are color blind. Mice are excellent climbers and can run up most roughened walls. Mice can swim, but prefer not to do so. They can jump 12 inches high and can jump down from about 8 feet high without injury. Mice can survive and thrive in 14 F. They can run horizontally along pipes, ropes and wires. A mouse requires about 1/10 ounce of dry food and 1/20 ounce of water each day and produces about 5 droppings each day. The most common way mice transmit disease organisms is by contaminating food with their droppings and/or urine. The most threatening organism spread by mice is Salmonella, a cause of food poisoning spread via droppings. Mice are very social. Related males and females are compatible, but unrelated male mice are typically very aggressive toward one another. Mice are inquisitive. During the daily territorial patrol, they will explore anything new or changed, and establish new travel routes if needed. Mice are nibblers and eat only small amounts of food at any one time or place. Seeds are usually preferred. Since their preference is seeds, you can understand why feeding the birds birdseed is the same as feeding the mice. You will not only attract them, but you will give them a reason to never leave. There are two main feeding periods, at dusk and just before dawn. They prefer sweet liquids over plain water. Mice are nocturnal in habit. Their nesting preferences are dark, secluded places where there is abundant nesting material nearby and little chance of disturbance. This is the reason they like nesting in your insulation under your floors. They require an opening of greater than 1/4 inch to gain entry. Gnaw Marks: New gnawing or holes tend to be rough whereas, old gnawings are smooth from wear. 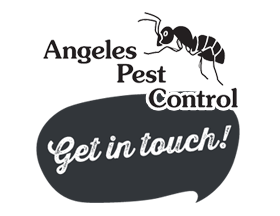 Droppings: Fresh droppings are soft and moist whereas, old droppings are dried and hard; a house mouse dropping is about 1/8 to 1/4 inch long, rod-shaped and with pointed end VS American cockroach which is about 1/8 inches long with ridges. Tracks/Footprints: Front foot is 4-toed and the print is in front of the hind print with 5-toes. Fresh tracks are clear and sharp whereas, old tracks are at least partially obscured by dust. Rub Marks: These are usually less noticeable and smaller in size than those of rats. Burrows: Indoors they often nest in various materials such as insulation. If active, free of dust on cobwebs. The entrance is usually packed and compressed with material and rub marks are sometimes visible. Runways: They frequently use the same paths, usually along walls, among stacked merchandise, etc., and into interior objects. Active runways are free of dust and cobwebs, with fresh droppings. Tracks may or may not be visible. damaged Goods. Mice prefer seeds or cereals.